Samsung Galaxy S6 edge vs S6 edge+ vs Note 5: Which one to choose? Samsung Galaxy S6 edge or Galaxy S6 edge+ or the upcoming Galaxy Note 5? After the launch of flagship Galaxy S6 edge, Samsung recently introduced the plus version of S6 within five months in India at an almost similar launch price. Wait for it. The Galaxy Note 5 is next in line. The next Note device is expected to arrive soon. Now, if you wish to buy any of these premium devices, which one should it be? While it may sound simple, this comparison is tricky given all the three devices shares similar specifications. Galaxy S6 edge vs S6 edge+ The Galaxy S6 edge+ is simply the bigger version of Galaxy S6 edge. While the S6 Edge comes with a 5.1-inch screen, the S6 edge+ display measures 5.7-inch. The S6 edge+ is obviously wide and longer than the S6 edge, however, the dual curved screen ensure that 5.7-inch is not too big to use. Both displays are Quad HD with a resolution of 2560×1440 pixels. The quality of both are stunning. The plus version comes with 4GB RAM while S6 edge has 3GB RAM. It would be hard to differentiate the performance based on the 1GB more RAM only. The bigger S6 edge+ obviously is powered by a bigger 3,000 mAh battery when compared to 2,600 mAh battery of the S6 edge. If you intend to buy a wireless charger, then the S6 edge+ supports fast wireless charging while the S6 edge doesn’t. The major difference between them is only display sizes. On the software front, thankfully, Samsung has tried to differentiate in the bigger version. The Galaxy S6 edge+ comes with Live YouTube broadcasting, App Edge and Side Sync. Live YouTube Broadcast: With this feature, you can live stream on your YouTube account directly from the camera app. This feature will make you forget Periscope or Meerkat and will help you focus on your YouTube channel. This feature works even if you have just one subscriber or none on your YouTube channel. App Edge: In the Galaxy S6 edge, the right edge of the display can used only to showcase five contacts in different colour themes. In the plus version, Samsung now allows you to add five apps which you mostly use. The App Edge simply acts as a shortcut. Side Sync: This feature helps you to share the screen and data between your PC and S6 edge+ wireless. Side Sync is supported on both Windows and Mac. Samsung might look at providing these features to the S6 edge as well going forward. However, Samsung did not mention any specific time. 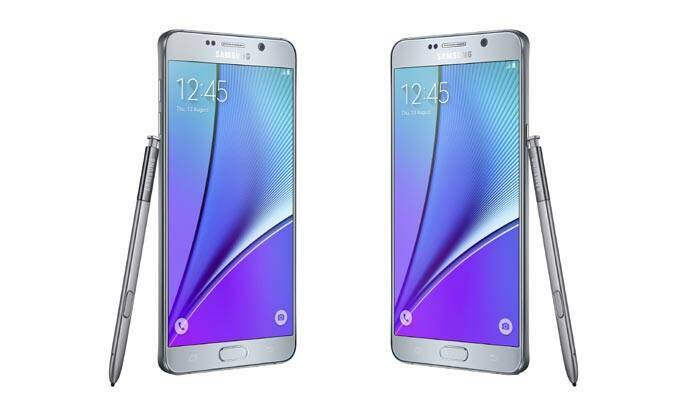 Galaxy Note 5 While the Galaxy S6 edge+ sports a dual curved screen like the earlier Galaxy S6 Edge, the Note 5 has a dual curved back and a flat display. Both share the exact specifications but Note 5 comes with the stylus. The Note 5 allow users to scribble notes with the stylus even when the device is locked. So, who should buy the Note 5? If you really need the S-Pen only then buying the Note 5 makes sense. The Galaxy S6 edge was launched at Rs 58,900. The market price of it, after five months of its launch, is around Rs 49,900. Now, the Galaxy S6 edge+ will go on sale starting August 28 at Rs 57,900. 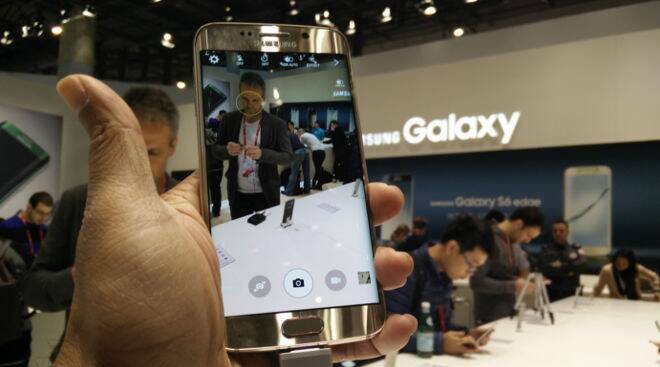 So, Samsung may have reduce the price of the S6 edge to accommodate the new plus version. 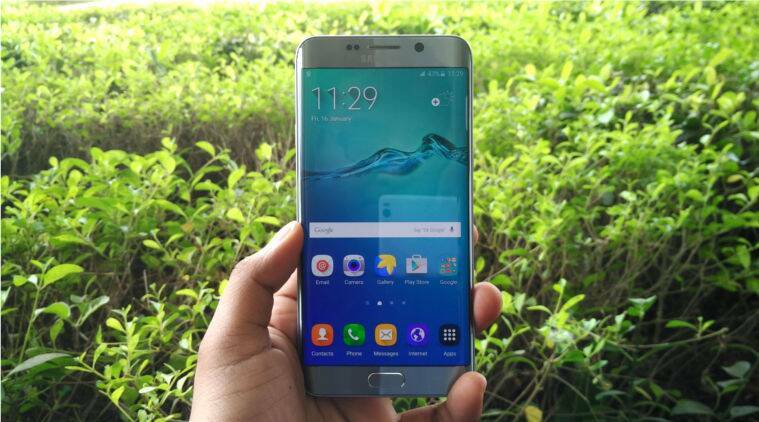 Also, the Note 5, following earlier trends, might be launched in the price range of between Rs 58,000 and Rs 60,000. When asked what is Samsung doing to justify the drastic price drops in a short span of time, Warsi said, “The price keeps on varying due to market conditions. However, we were the first to introduce a unique cover for customers who had pre-ordered the Galaxy S6 and Galaxy S6 edge. Under this, Samsung will cover up to Rs 10,000 in the form of points and freebies equivalent to difference amount, when the price drops.” Galaxy S6 edge or S6 edge+ or Galaxy Note 5? Share your views in the comment section below.